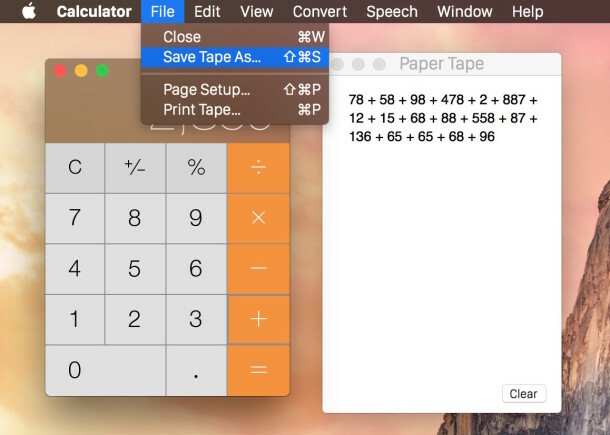 If you find yourself adding up many numbers or just performing a continuous string of math that is critical to keep track of, you should know that the Mac Calculator app includes a paper tape feature. For those who aren’t familiar, a paper tape keeps a running trail of each item entered into a calculator, making it easy to follow and audit anything in the calculation. 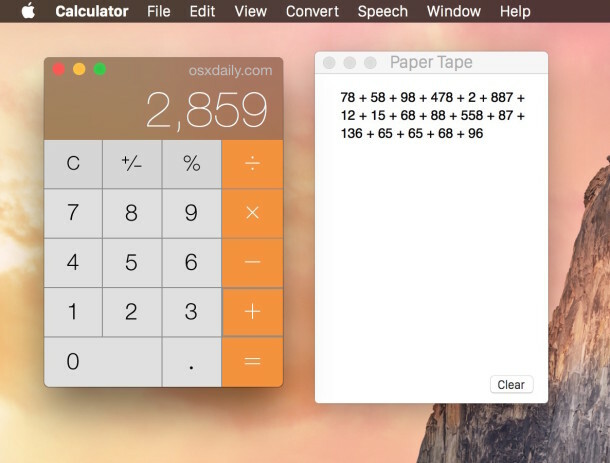 Obviously useful for many occasions, the deceptively simple Calculator app in OS X includes this ability, and you can also save and print the generated number tape if desired. 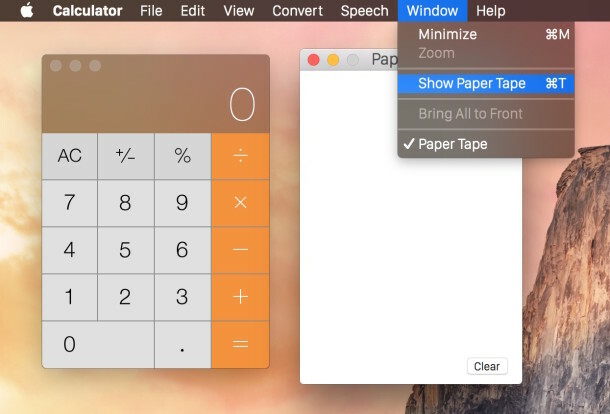 There’s not much complexity to using this handy Calculator feature, but it’s so useful that you’ll wonder how you functioned without it, and if you’ve been relying on the Spotlight Calculator you should make the switch to this. When you complete a set of calculations that you want to keep a record of or save for whatever reason, you can then choose to print the paper tape, or save the paper tape as a file. You can also hit the ‘clear’ button to wipe the tape clean and start over. You’ll find this useful for many tasks since it’s fairly easy to lose track of many calculations, so whether you’re adding up expenses or doing taxes, use the Paper Tape, maybe even save or print out the results, you’ll thank yourself for the convenience. This is just one of many great features of the Mac Calculator app, which is well featured and largely under appreciated, able to do function as a Scientific or Programmer calculator, calculate currency exchange rates and tons of units of measurement, and so much more. It’s certainly worth a second look if you have any mathematical needs. For simpler tasks and basic calculations, you may find that using Spotlight as a calculator remains the quickest on a Mac however. Any such trick/tip for iOS? is also the app you are looking for. This will be very good for when I eventually start working with figures frequently! Thanks again OS X daily!! Wow… I’ve been using Macs for 20+ years and I never knew this existed. This will definitely be helpful on occasion. Thanks! Using programmer type calculator doesn’t work. Hate this calculator-hate it, hate it, hate it. Display is horrible-difficult to see. Thank you, thank you, thank you. I just spent time trying to find a simple calculator app with a running total, but all I really wanted was this information!